Gareth Goh is the Content Marketing Manager at InsightSquared, an analytics generation company for growing businesses. Academically, he hails from Boston University with a degree in Journalism, but as he saw the evolution towards content emphasis, his employment started focusing on content marketing. With a varied background in both journalism and content marketing, he is an experienced veteran of inbound marketing, SEO, and business intelligence. 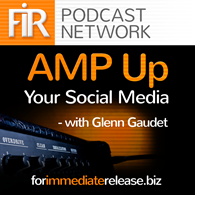 Gareth recently joined AMP UP Your Social Media’s host Glenn Gaudet to discuss content marketing on social media. Invest in marketing. This isn’t just financial; Invest the time and effort in hiring as well! Marketing involves commitment - both during success and in the face of failure. Attract results by investing in the commitment on all levels in social media. Disseminate complicated topics. Your brand may involve technical and complicated topics. There’s a component of having to learn all of the concepts and disseminating those topics into digestible content for the common user. Quality is important, but it’s useless if it’s not connecting with your target audience. Utilize C-level business partners. Sales leaders and leadership is essential to helping them grow their social media presence. You’ll have a much easier time growing your followings when you have the support of higher-ups, and ‘selling’ the importance of your social media presence may be the most difficult part. Use GaggleAMP to extend your reach. Salespeople don’t want to do any thinking when it comes to social media, and GaggleAMP does the hard work for you. 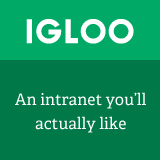 It’s increased our reach by 4x, and it’s made it easy for our employees to share great content. Know when to grow your team. And split up the team to best capitalize on a variety of social media aspects. From blogging to long-form content, there are a variety of tasks, and it can get overwhelming if you only have one person doing all of your content writing. It’s a threshold that will depend on the size and demands of your company! Gareth would love to hear from you! Connect with him on LinkedIn. Aside from running the blogs at InsightSquared, Gareth spends his free time as the commissioner of many fantasy leagues. He is a die-hard fan of the Phoenix Suns and Liverpool Football club. As a fan of the Game of Thrones series, he feels pride in the saying ‘Valar morghulis’ meaning “all men must die” in High Valyrian. The FIR Podcast Network is brought to you with Lawrence Ragan Communications, serving communicators worldwide. Next entry: FIR Presents Inside PR #398: Is blogging over or has it morphed into something else?